This is the first serious comparative study of two dynamic Asian city-states that are emerging as key regional?indeed global?cities. Providing both historical comparisons and analyses of contemporary issues, the authors consider the patterns, strategies, and consequences of industrial restructuring. They build their analysis around the interrelationships of four institutional spheres: the global economy, the state, the financial system, and the labor market. 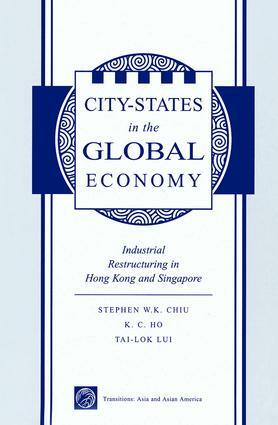 This leads to a unique emphasis on the distinctiveness of individual NICs, as opposed to much of the literature in the field, which tends to group these Asian dragons together as a single, undifferentiated case.The book addresses three basic sets of questions tied to industrial restructuring in Hong Kong and Singapore: First, what are the basic patterns of restructuring in the two economies? What corporate strategies have manufacturers used to restructure their operations? Are Hong Kong and Singapore diverging or utilizing the same restructuring strategies? Second, how should the process of restructuring in the two economies and the concomitant similarities or divergencies be explained? Third, what are the consequences of the restructuring process for the two economies? How are these processes shaped by the shared histories of Hong Kong and Singapore as colonial port cities, their current status as NICs ?squeezed? between industrialized western societies and the Third World, and their role as important regional cities in East and Southeast Asia?